The ATP Hot Wire USB Logging Thermo Anemometer is used for low air velocity and volume measurement. The slim plug in telescopic hot wire probe extends from 0.3 to 1m (including handle). 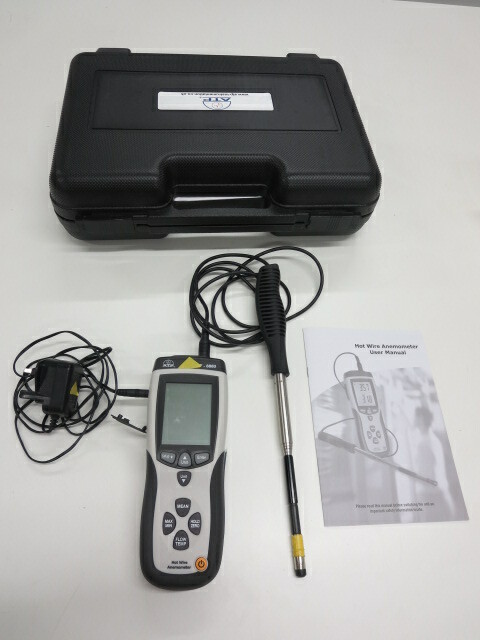 It has a probe sensor head 9mm diameter and has a USB interface for real time transfer of readings to a PC or laptop.